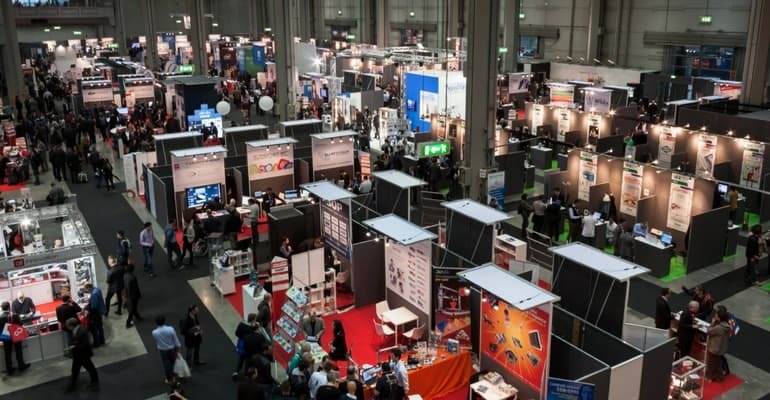 Items such as emblazoned flashlights, multi-tools, bracelets, pins, and apparel are some common examples of products that drive trade show booth traffic. Companies use these branded items to attract attention and create conversations with potential customers. For many companies, a strategy combining promotional products and trade shows creates a winning formula for attracting new customers. The psychology behind building booth traffic is simple. Your potential customers like receiving free, useful items! Creating initial traffic to your booth helps build more traffic as curiosity peaks amongst attendees. Beyond attracting trade show traffic, promotional products add staying power to your marketing message. When customers travel back to their office, they take your logo with them. Let’s explore a few ways that combining promotional products and trade shows to your marketing mix can extend your reach. Promotional products link the sales team to the customers. Unique products serve to start dialogue with your clients and help make your brand memorable. They provide an immediate point of interaction that you can build upon to develop sales channels for your business. When a customer wears apparel with your brand name or drinks from an insulated travel mug with your logo, they effectively advertise your company. Since your sales team cannot be everywhere at once, providing customers with branded gifts exponentially increases publicity for your company. Therefore, your business gains name recognition and, as many top global corporations know, name recognition is important. Keeping existing customers is important. After the orders fill and some time passes, their memory of your business may fade. Promotional products, especially those that are periodically dispersed, keep you top of mind when the it comes time for reordering. That branded mouse pad your customer uses every day may be responsible for more repeat sales than you’d expect! There are countless types of gifts available including apparel, bags, and even Bluetooth speakers. At Juice That Brand, we can help you find the best products to suit your business.